BOO! 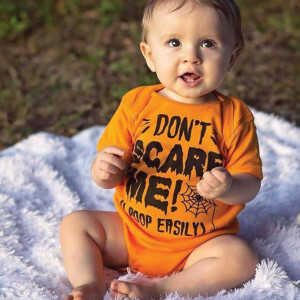 It's our personalized Halloween gifts for baby, kids, and the whole family! We have this holiday covered with the coolest Halloween shirts and trick or treat bags for your little monsters. Personalize a Halloween kitchen towel for you or your favorite group of ghouls. Having a party? Your guests will go batty for our personalized Halloween gift stickers and treat bags! Can you tell this is one of our favorite holidays?